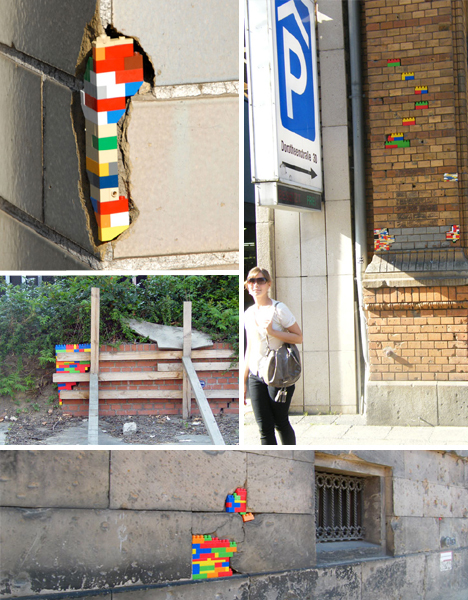 The stark contrast of monochromatic, crumbling stone buildings and small, colorful plastic toy blocks is especially jarring in Berlin, where evidence of the horrors of World War II is still visible in cracks and bullet holes. 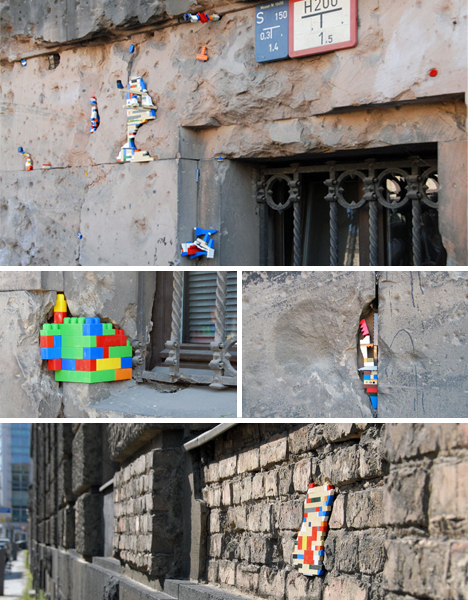 But that’s what makes this setting so poignant for German artist Jan Vormann, who patches damage to old buildings around the world with Legos. 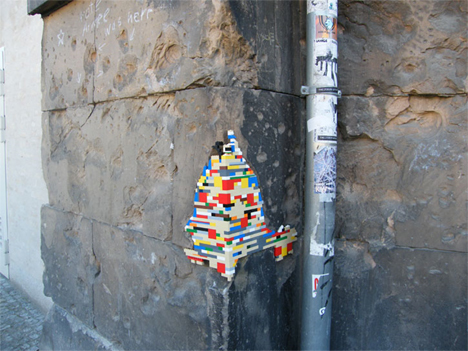 Vormann aims to fill Berlin with new life – even if only temporarily and symbolically – using this sometimes controversial juxtaposition of new and old, and the unity that it brings to onlookers who stop to help. 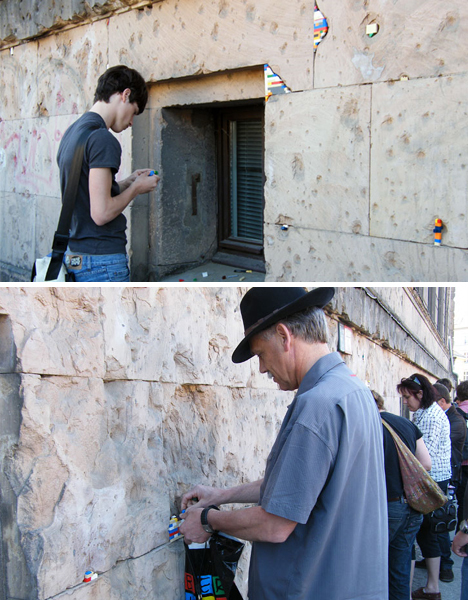 From young children to the elderly, people crowded around the artist to poke colorful little blocks into fissures in the façade of Kupfergraben/Dorotheenstraße, a building at Humboldt University. Like all German universities, Humboldt was turned into a Nazi educational institution during the war and stands as a vital, if solemn, reminder of the Third Reich’s influence on Germany. “Berlin is the city where I live in right now. I thought it would be fun to do it here, considering the historic value of the walls, the imprint of troubled times can still be seen today,” Vormann told HalogenLife. Fans can keep up with the worldwide Dispatchwork project in countries like Russia, Serbia and Israel on an interactive map at Dispatchwork.info.